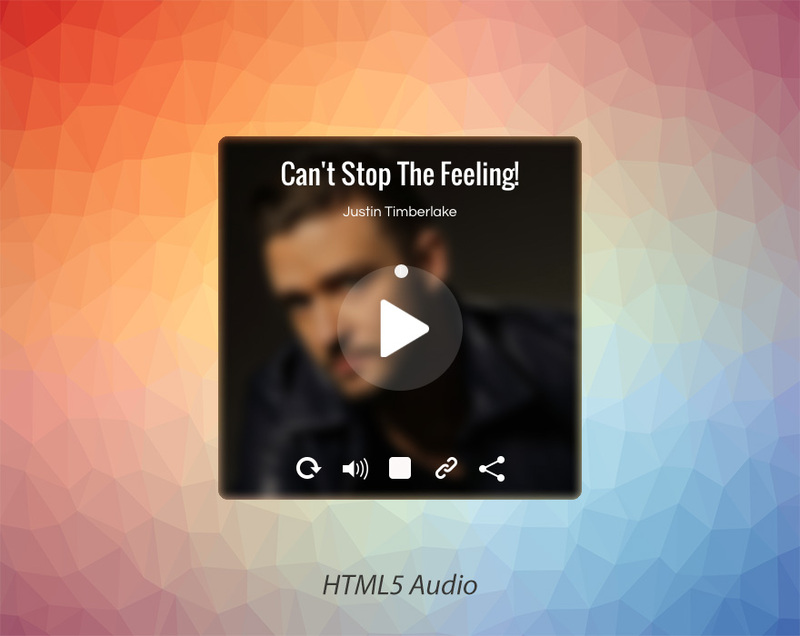 jQuery Audio Player is a minimized web plugin based on HTML5. 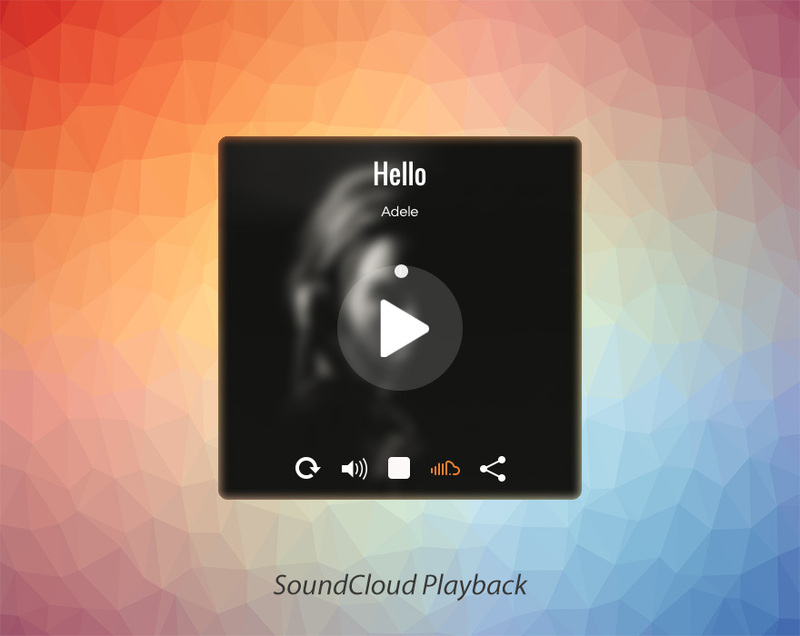 It supports different forms of audio streaming, such as audio mp3, ogg, radio live streaming and SoundCloud playback. It is extremely lightweight and easy to use. 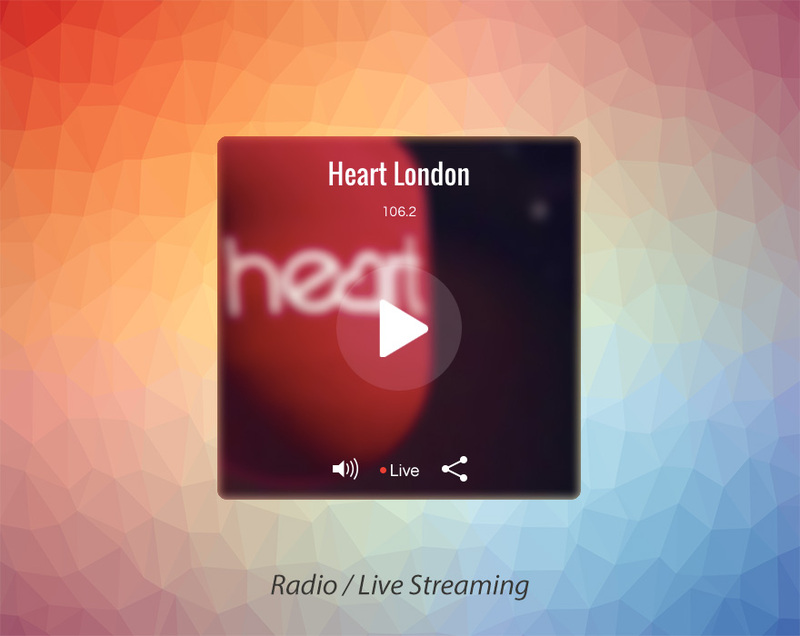 It only requires one line of code to embed in the web page. 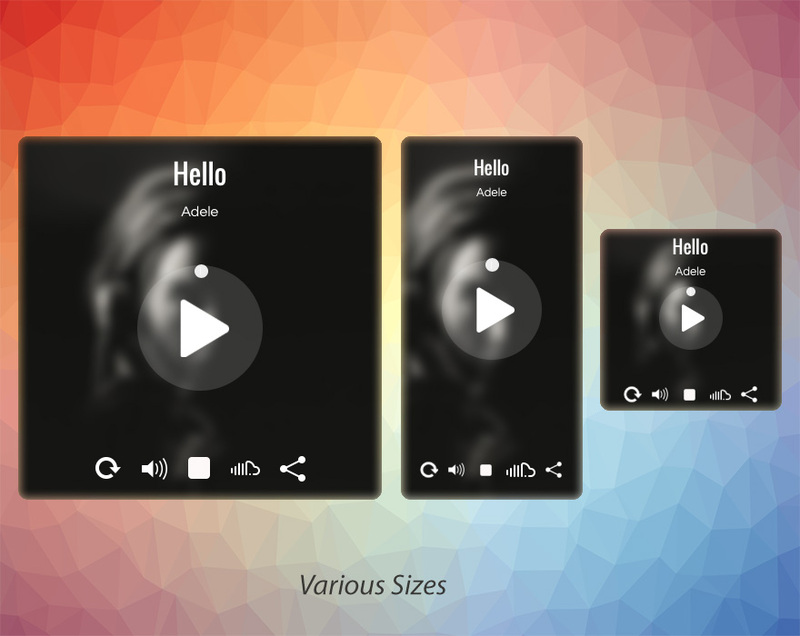 This plugin also comes in different sizes and its transparent design match it with any design and web template. 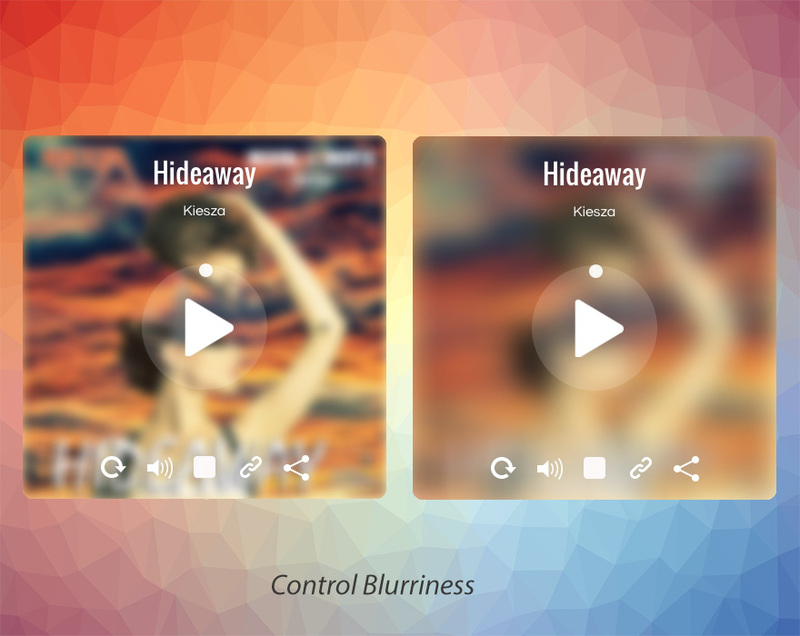 It contains a powerful API that makes it easy to customize each player. 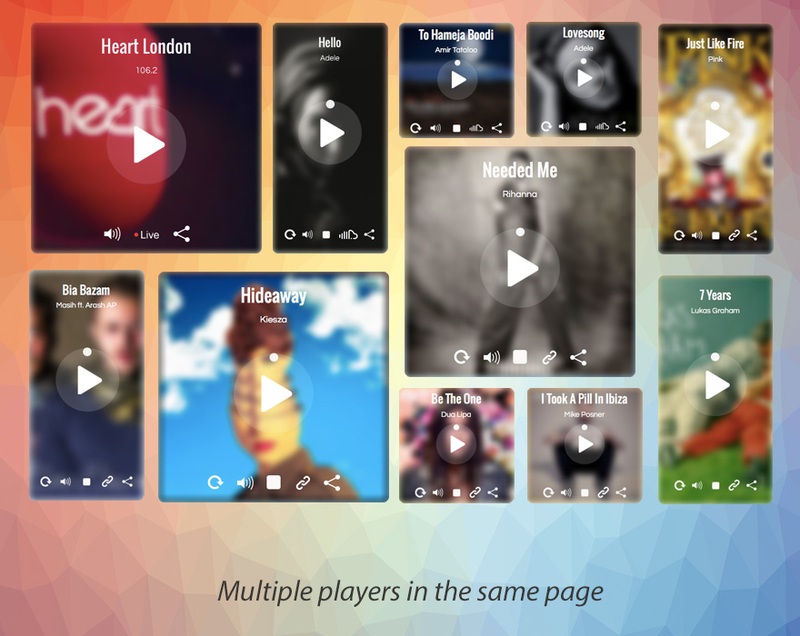 Options: Each player can be customised separately through the plugin API. It can be implemented in in any type websites, from plain HTML to dynamic CMS sites such WordPress and Joomla.